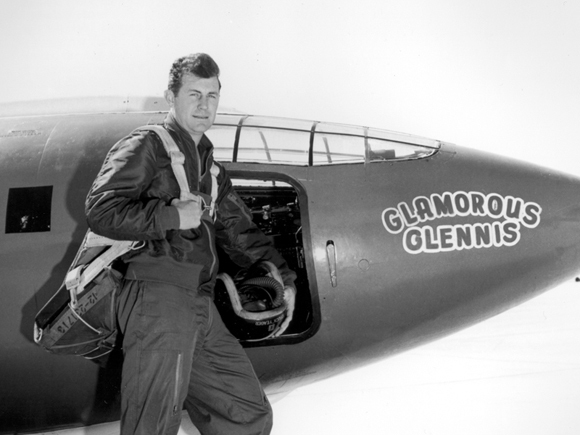 Here is a rare interview that I did back in 2006, with General Chuck Yeager, the first official man, to break the sound barrier, back in October 1947……. It is hard to believe that it has been some 67 years since that great moment in time….and only 44 years after the Wright Brothers, started the whole flying thing! General Yeager is 91 years “young” on February 13th….Happy Birthday! General Yeager is still going strong today and he is a great inspiration to all those who want to know how we broke the barrier called sound……Next we need to learn how to break the speed of light….I hope to be around and be reporting on that too!